1. 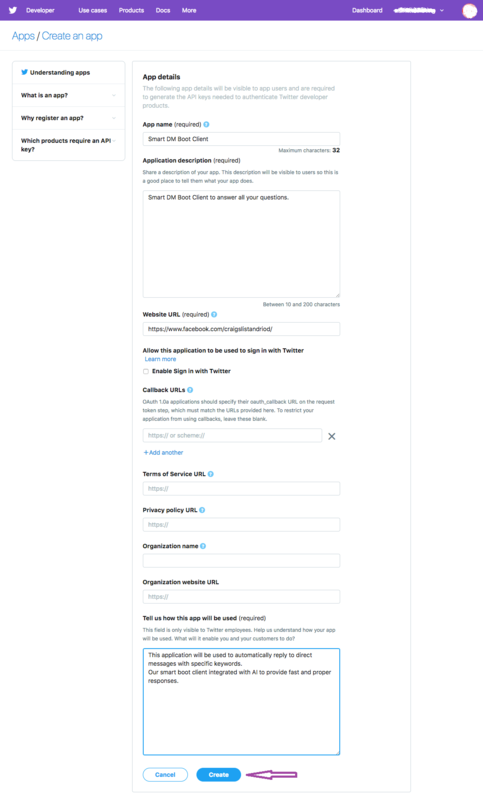 In order to create Twitter application you need to provide your phone under Settings and Privacy. If you have done this already you can skip the first 2 steps. 2. Click on Mobile menu and provide your phone number, and follow the verification steps. 3. Go to https://developer.twitter.com/ to create your twitter application. Sign in with your Twitter user. Once you approved for developer account, select "apps" from top-right menu under your user-name. And the click on "Create an app". 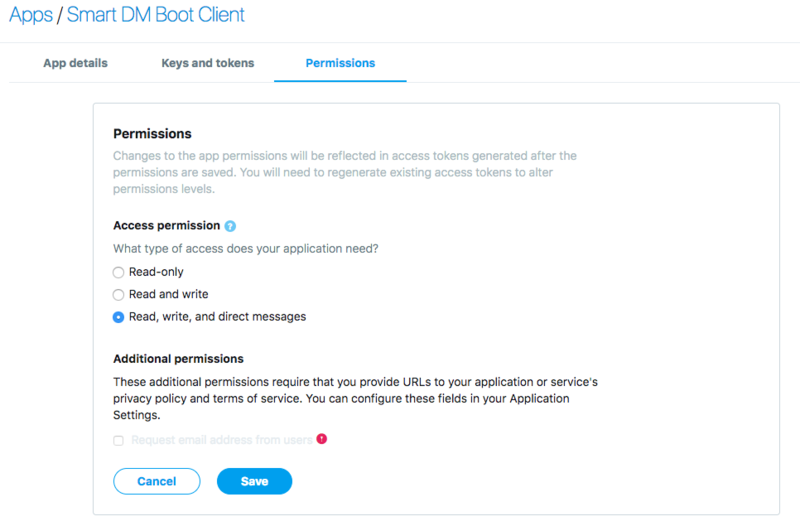 Change permissions to "Read, write, and direct messages"
7. 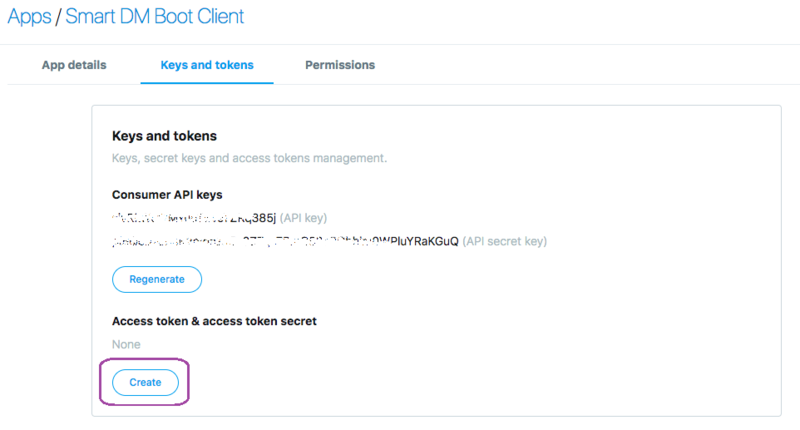 And now you can copy the Consumer Key (API Key), Consumer Secret (API Secret), Access Token, Access Token Secret on to our website into matching fields. Then click on "Save App Keys" on our website to save these details.